Fiesta Bounce Party Entertainment presents Popcorn Machine Rentals. Nothing says “Good Times” more than digging into a warm bag of popcorn within seconds of it being freshly popped! 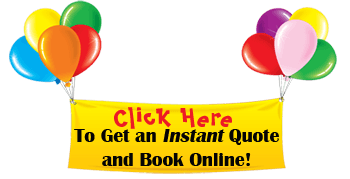 Fiesta Bounce offers popcorn machine rental for your party or event. This is a great treat for your guests and is an effective fund raising tool as well. Our popcorn machines are easy to operate and quick to setup, so you’ll be popping in no time at all! Fiesta Bounce cleans and sanitizes all popcorn machines and equipment before and after every party rental. All of our popcorn kits are kosher certified. Popcorn is one of those things that people just can’t get enough of. Something about the salty zing and the satisfying crunch keeps your fingers coming back for more. There are many different occasions where a popcorn machine rental can – literally – be the life of the party. Send in the clowns, blow up the bouncy houses, and turn on the popcorn machine because you’re having a party. From the very young, to the very – shall we say – wise, everyone will want to have a box of fresh popcorn in their hands. The little ones will love to watch the fresh popped corn magically cascade from the kettle, and it might be a competition to see who will be the first in line for this special party treat. Has your office had a tough week? Perhaps you are celebrating the completion of long term project. Are you planning a retirement party? Lighten things up with an office Happy Hour and keep the popcorn popping. It’s impossible to feel stressed out when you are enjoying a favorite childhood treat. Your employees will love the chance to shake off the work pressure, and enjoy socializing with an icy soda and a red striped container of popcorn. Is It Time For a Movie Night? Whether your community hosts Movies in the Park, or you are ready to host a Movie Night for friends and family, a popcorn machine rental is the ticket. A Movie Night isn’t complete without the smell of fresh hot popcorn, salted just the way you like it. Who needs expensive movie theater refreshments when you can have your very own movie and cinema worthy popcorn at home? Our affordable popcorn machine rentals will make the movie gathering a night to remember. It’s never been more important to raise money for causes that are near and dear to your heart. A popcorn machine can be just the answer you need. It’s fun, it’s tasty, and it’s its low overhead offers and affordable way for your non-profit organization to make the money you need to make ends meet. 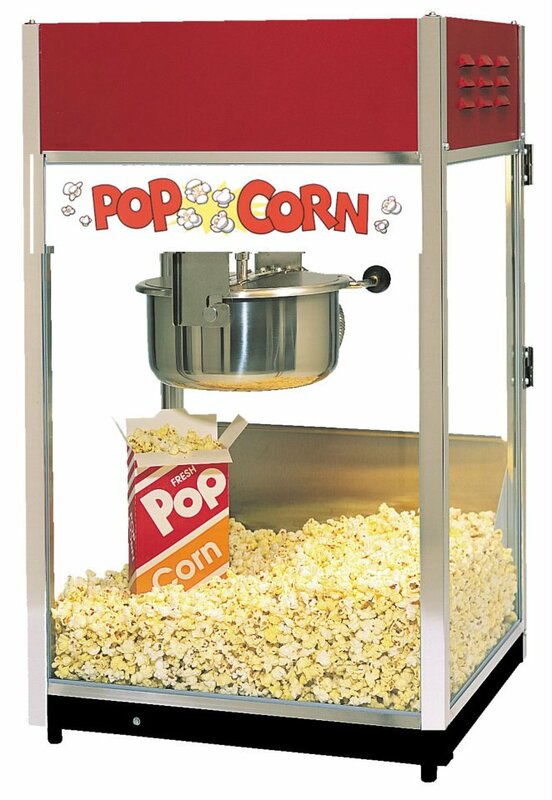 Pair a popcorn machine rental with a cotton candy machine rental and you will see the dollars pouring in. Ask us about our snow cone machine rentals and make it a triple whammy! 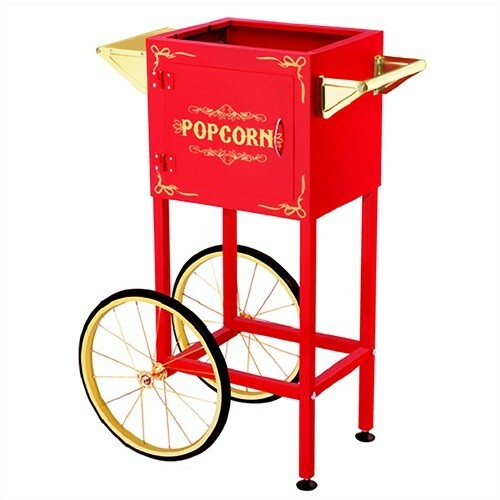 A popcorn machine rental is a wonderful way to celebrate life’s momentous, and not-so-momentous, occasions.